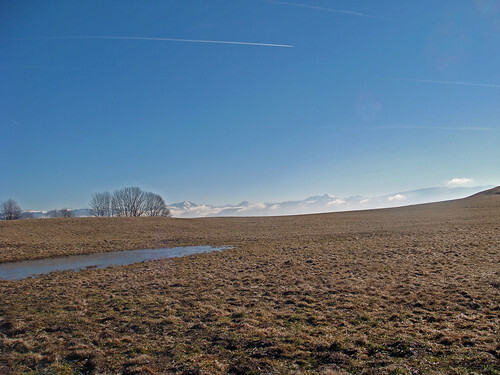 Another great ride in the Jura mountains without a single car passing in either direction. 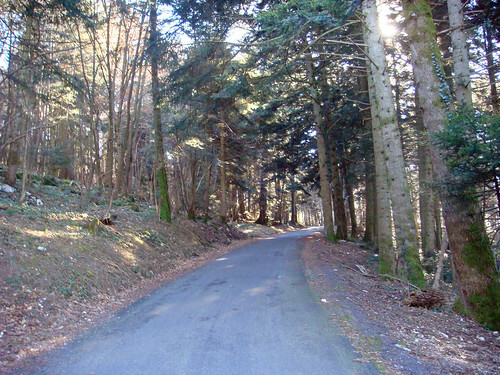 Although both these climbs summit below 1,000 metres, they start low down in the Rhone River valley, and are fairly challenging. This is a great area for cycling with bike lanes when necessary, lots of signed routes, beautiful climbs at every turn and to top it off lots of signs asking cars to give cyclists room. 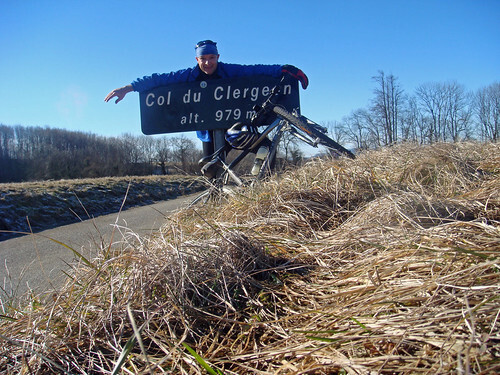 A scenic winding climb with views of the Jura giant Col du Grand Colombier for most of the route. At the top, the Alps suddenly appear. Two middle kilometres average a very steep 10.5% and a few stretches are much steeper. I was using a hybrid in case of snow, and although this climb could easily be done with a road bike – the surface is a bit lousy in some of the middle stretches leading to a bumpy descent. 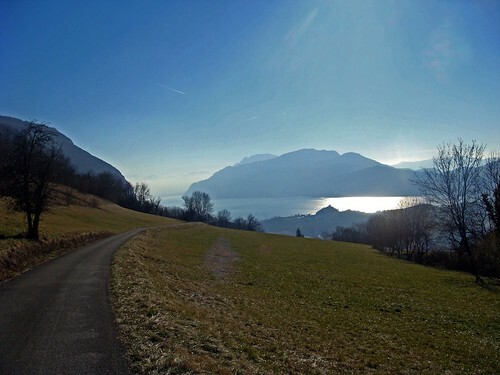 A little bit easier, also winds up through wooded roads with occasional views of Lac du Bourget (biggest lake in france) and perhaps my favorite climb the epic Mont du Chat in the background. I love the “give cyclists room” sign. We need those exact signs here in the states! We have some “Share The Road” signs but I like how the one you show describes giving cyclists room. 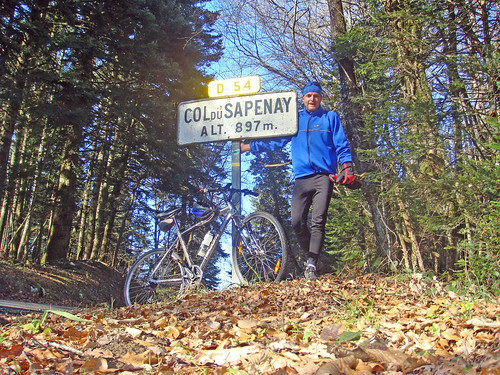 The road up Col du Sapenay looks great… I know you said no cars… but did you see any other cyclists out? No cars, no cyclists, no dogs, no-one.